Welcome to another Becoming A Modern Man! The first in a very long time, in fact over a year. Technology has let me down a lot and so I had to suspend the series; so I guess this is a good time to reintroduce it. Becoming A Modern Man was my journey through the Modern format via different Modern decks. 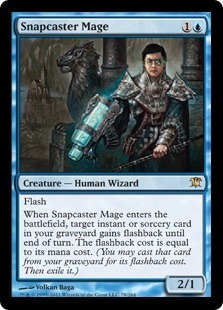 I started simply and eventually bought staples and was able to build more expensive and complex decks. I love playing new decks in Modern and getting to grips with them and so this article series is basically based around that. I am certainly no pro player but I try out different decks figure out how they work (to the best of my abilities) and share my thoughts and some gameplay. So, these articles are supposed to be a bit of a primer for the decks and should hopefully give you a bit of an idea of how the decks play if you are looking to build the deck. I have had a bit of break from playing Magic, largely due to technology issues. I am now back playing a lot more Modern and I wanted to get back to sharing those adventures with you guys. So, I hope you enjoy! 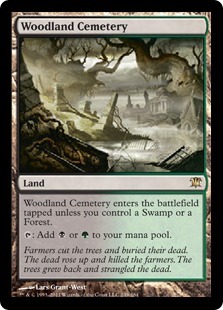 You may note that Woodland Cemetery should probably be Blooming Marsh . 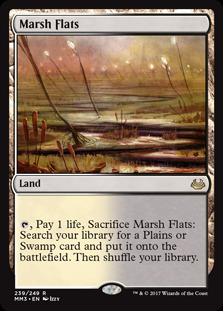 I didn't have Marshes, I substituted but as there is only one four drop in the deck Marsh does seem better. Why is the deck referred to as The Rock? 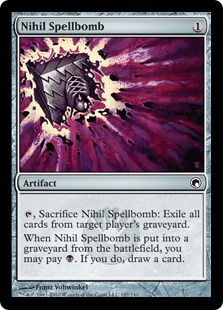 As I understand it the name was coined by Sol Malka for a deck that used Phyrexian Plaguelord and Deranged Hermit as a formidable combination. The nickname itself arises out of the artwork for Plaguelord which stands in a pose not dissimilar to that of the Brahma Bull. 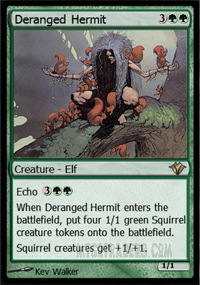 The Deranged Hermit tokens were The Rock's millions. The name has kind of stuck for GB and GBx decks of any type despite their lack of relevance to the original deck and that the card after which the deck was named is no longer played. The big man himself, or monster I guess. 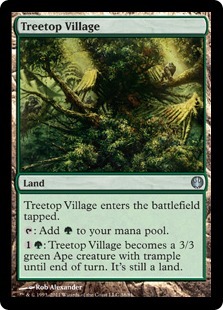 A stellar two-drop of varying sizes but overall Goyf has a tendency to be pretty huge. Unfortunately Goyf can be weak to graveyard clearing effects and also Delve creatures can allow your opponent to shrink your Goyf. 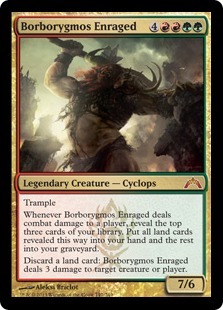 Otherwise, Goyf tends to be a very powerful two-drop. Bob has seen a fairly big upswing in play recently. I think that's a mix of Black being a more exciting colour to be in thanks to Fatal Push and the downswing in the use of Lightning Bolt , which makes abusing your life total a bit more user friendly. An unanswered Bob creates massive card advantage over a number of turns and as I say with less Burn around in the current format this type of strategy is a lot safer than it has been. A card I rather wrote off when reviewing Eldritch Moon. 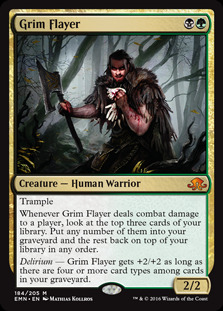 Sadly (or not I guess) I was wrong and Flayer has managed to make its way into a lot of GB and GBx decks in Modern. 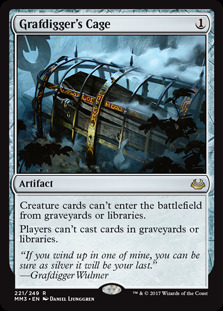 The ability to manipulate the top of your library is very powerful while also adding cards to your graveyard to pump up your Flayer, or perhaps your Tarmogoyf , is good. 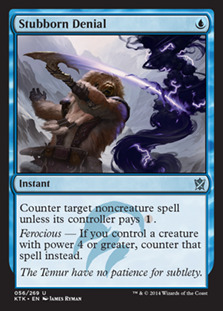 A 2-mana 4/4 trampler is also very efficient but putting Delirium online is not always easy. 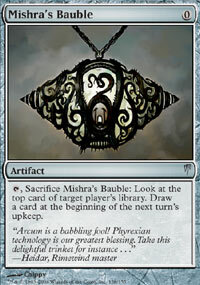 The set up of the deck could be better for this as we don't run cards like Mishra's Bauble . 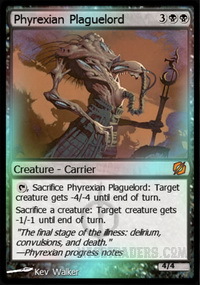 The Delirium pump doesn't necessarily have to be catered to though and the fact that Flayer's effect can help you get there is very useful. 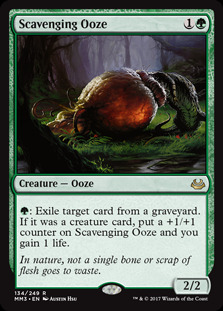 Ooze is a solid 2-drop that grow into a major threat. 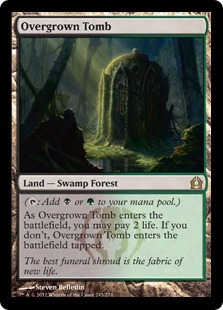 Also, graveyard shenanigans are rife in the current Modern metagame - Dredge, Storm, Delve creatures, Snapcaster Mage and Eternal Witness are just some of the decks and cards being used to abuse the graveyard. Main deck Ooze can be a great answer to some of these cards and decks if (and in all likelihood you will) you come across them. 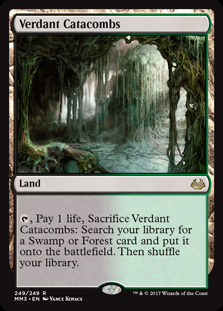 Life gain is also very beneficial as with fetchlands, Thoughtseize s and Dark Confidant s you can give your own life total a bit of a beating sometimes. 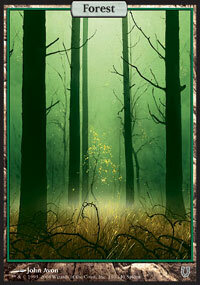 The 3-drops of the deck are a split of Finks and Tireless Tracker. 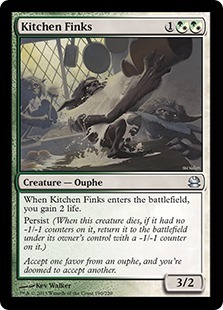 Finks is a solid beater with some life gain and a body that is resilient to removal. That said it isn't a deeply exciting card in this deck. Tireless Tracker, however, is much more fun. I was a bit skeptical when I first saw the Tracker showing up in Modern decks but having now played with it I think it's great. 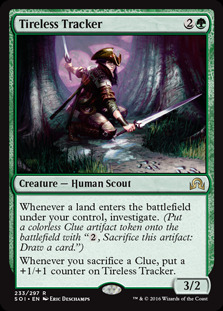 Tracker works fantastically with fetchlands, allowing you to generate two Clue tokens, and grows as a threat each time you crack a Clue. 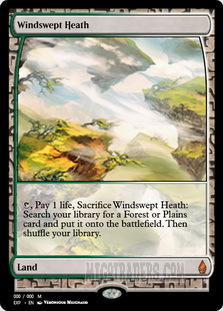 It makes all of your land draws far better and can also threaten to end the game. I have always been a bit skeptical about how good Kalitas is. Playing with the card has not really changing my feelings on that point unfortunately. I have found Kalitas to be fairly disappointing on more than one occasion. The positives are that unanswered and supported with removal he makes a fairly remarkable board state that is tough to beat. 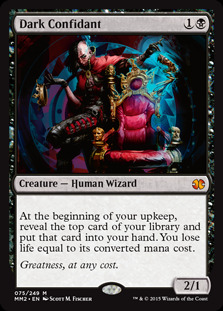 He also is main deck hate for decks like Vizier Company and Dredge (to an extent) in that he exiles any creatures that die. 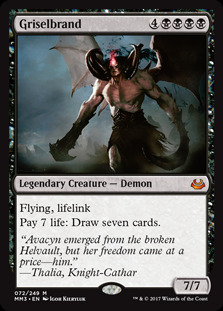 He also has lifelink which can be helpful to offset your Thoughtseize s and Dark Confidant s.
My experience is that he is quite expensive and often is killed very shortly after being played for no great benefit. He dies to Fatal Push and Path to Exile and isn't really big enough on his own to hold his own against the bigger creatures in the format. As such you kind of need removal to support him. However, by the time it comes to Turn 4 or later our hand tends to be pretty empty. As I say, I have not been overly impressed with Kalitas and would actually consider cutting him from the deck. I think too often he is an expensive dud. 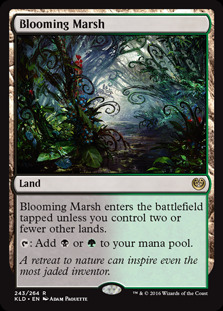 This card has been a huge game changer in Modern and the biggest thing I have had to get used to since returning to the format. Push has established itself as the top removal spell in the format, leaving Lightning Bolt and Path to Exile to battle it out for second place. 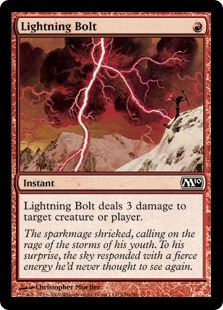 The popularity of the spell has also somewhat distorted the power of various cards, with the new test being the Push test rather than the Bolt test. As such, cards like Tasigur, the Golden Fang and Gurmag Angler have gained a lot of value and creatures with CMC 5 or more or a lot more viable. Fatal Push is an incredibly efficient answer to the majority of the creatures you will encounter in Modern. 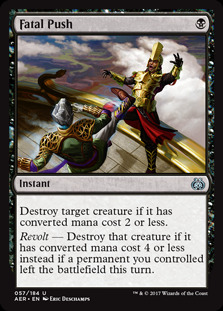 Triggering revolt is relatively easy thanks to fetchlands and also Ghost Quarter in the deck. 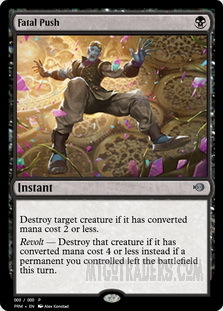 The one-mana hand disruption package of Thoughtseize & Inquisition are increasingly commonplace in Modern. 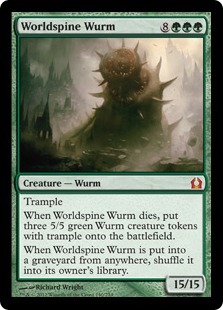 They are also a classic pairing with Tarmogoyf as it is a great way to pump your Goyf. Hand disruption is always pretty powerful and is particularly good against combo, where you can steal key pieces from their hand. 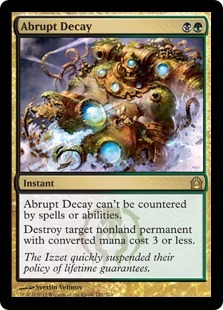 Abrupt Decay is a fantastic removal spell that has a ton of utility. 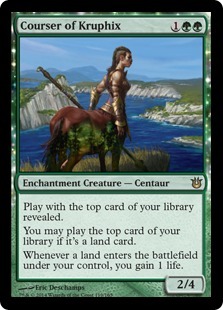 It deals with a broad spectrum of threats including creatures, Planeswalkers, artifacts and enchantments and is a very versatile answer to a number of questions any deck might pose you with. 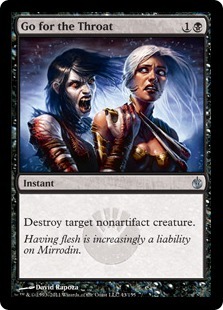 It is also uncounterable which means that decks like Death's Shadow can't protect themselves with Stubborn Denial and Control decks can't counter it either. Thanks to the rise in popularity and prevalence of Fatal Push , cards it can't hit like Gurmag Angler and Tasigur, the Golden Fang are also more popular and prevalent. 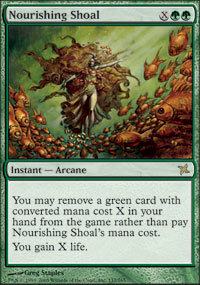 Go for the Throat is a good answer to these outliers and catches a lot of creatures our other removal cannot. 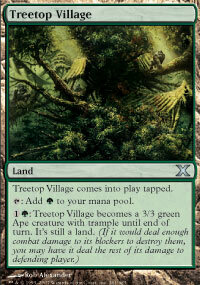 A very popular card in main decks and sideboards. 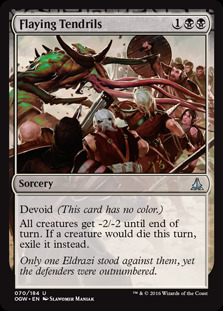 Collective Brutality is hand disruption, creature removal and life gain/direct damage and can be escalated to use as many modes as you like provided you can discard the cards. A great spell that is useful in a variety of different situations. 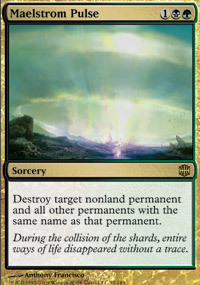 Pulse is expensive and slow by the standards of most Modern removal but it also is an answer to pretty much any non-land permanent making it very versatile. 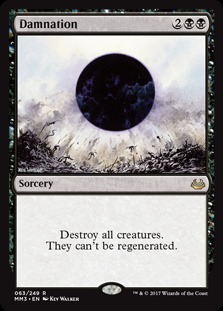 Also, it can destroy multiple copies of the same permanent if it is on the board - this can make it a good way to clear tokens or any permanent your opponent has happened to double up on. 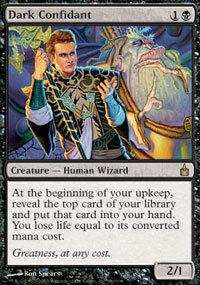 Seemingly a lot more Planeswalkers are seeing play in Modern these days as more powerful walkers are being printed. For a long time, Liliana of the Veil was the only planeswalker really seeing any substantial play. Despite new pretenders to the throne, Liliana of the Veil is still an extremely powerful and useful planeswalker. She destroys hands, removes creatures and can take over games. Still one of the best creaturelands despite its age. 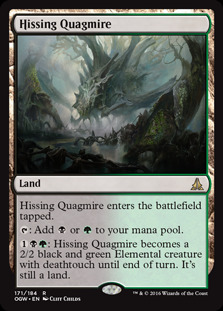 I have seen some version of the deck run Hissing Quagmire instead of Village which is of course better mana fixing but a much worse creature when activated. That said Deathtouch does make Quagmire good on the defence if necessary. Personally I prefer Village as it's cheap to activate and deals a sizable amount of damage. 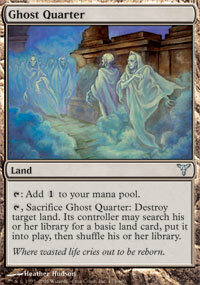 It also tramples through Lingering Souls tokens and other chump blockers. 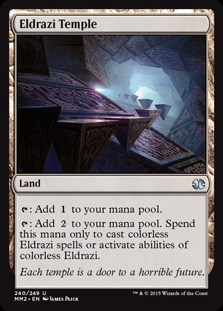 One of the big advantages of running a two colour deck is that it allows you to run 4 main deck Ghost Quarter s. There are a lot of dangerous non-basics around in Modern, including creaturelands, Tron pieces and Eldrazi Temple . Ghost Quarter particularly shines against the Tron and Eldrazi matchups. Our first matchup is against Grixis Death's Shadow. These decks have fairly similar MOs in that they are looking to disrupt the opponent and then finish them with powerful creatures. 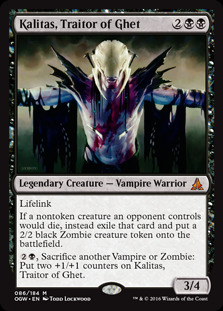 Death's Shadow is a formidable threat and certainly one we want to avoid but the deck has a lot of good answers to it. It's the Delve creatures that can be more of a pain as they are outside of Fatal Push and Abrupt Decay range. Our second matchup is against Eldrazi & Taxes. This is another popular deck. It takes the Hatebears/Death & Taxes shell and adds an Eldrazi flavour with Eldrazi Temple used to discount Eldrazi Displacer, Thought-Knot Seer, Wasteland Strangler and even Reality Smasher. 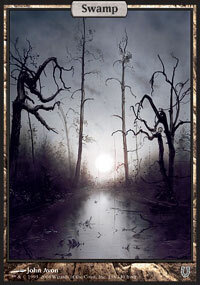 Our deck is not overly affected by the hate elements as the deck is not search heavy or too spell reliant. A reasonable matchup. Our third matchup is against a deck I haven't seen in a long time, GriShoalBrand. This is a reanimator deck that looks to put Griselbrand into play and then uses Nourishing Shoal and Worldspine Wurm to gain 11 life to draw further cards and concocts some way to win the game from there, usually involving Borborygmos Enraged and throwing lands at your opponent. Our fourth matchup is against Abzan. This deck is basically the same as our deck, however, it runs white primarily for Lingering Souls (which is very good in the format at the moment. 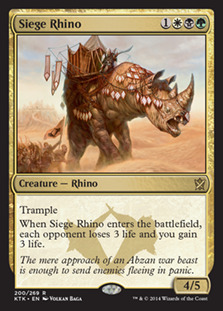 It also grants access to Path to Exile and Siege Rhino as well as several additional sideboard options. There are certainly positives and negatives to each deck's approach. Our fifth and final matchup is against Lantern Control. 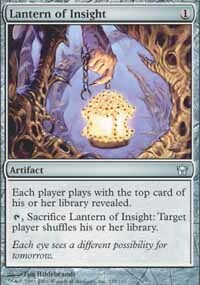 Lantern Control is a fairly unique deck that uses Lantern of Insight and Codex Shredder to control the cards the opponent draw, along with Ensnaring Bridge to lock the opponent out of the game. It's a tricky deck to face as your opponent can prevent you from drawing your answers. We have a lot of good cards for the matchup, Abrupt Decay and Maelstrom Pulse are answers to Ensnaring Bridge and the other combo pieces. Dark Confidant is also useful as the more cards you are drawing the harder it is for the opponent to manipulate your draws. Further we have hand disruption to pull lock pieces from their hand. I think on paper this should be a reasonable matchup but it felt pretty miserable to play. I had some fun with this deck and it certainly has a power to it. 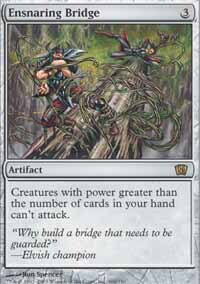 However, I am not sure it would be the deck I would necessarily recommend to for the format. It certainly has powert to it but it lacks in reach. Personally I felt there were too many times that I almost killed my opponent or almost had control of the game and then things swung out of my favour. I also don't like how this is essentially a fair deck but one that takes splash damage from the hate cards for the unfair decks. 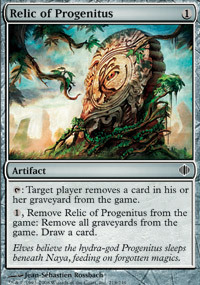 Relic of Progenitus , Rest in Peace or Nihil Spellbomb are irritating cards that can neuter your Goyfs and Grim Flayers. On the postive side, the deck is quite versatile. 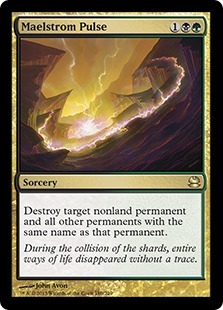 Removal spells like Abrupt Decay and Maelstrom Pulse give you answers to a broad range of threats, including artifacts and enchantments that other decks might struggle to deal with. 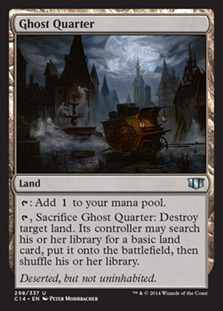 Also, being two colours afford you the luxury of Ghost Quarter which can be great to disrupt Tron and Eldrazi decks. I hope you enjoyed this article. I have been itching to get back into article writing and hopefully this will be the first of many more Becoming A Modern Man articles to come. Let me know if there is any particularly decks that you would like me to feature or look at and I will see what I can do.